Mary Kay Inc. welcomed 100 young women to the iconic beauty company’s global headquarters in support of a partnership with the Girl Scouts of Northeast Texas. The Girl Scouts Juniors and Cadettes, ages 11-14, earned the Mary Kay Healthy Relationship Patch and pledged to promote healthy relationships and friendships. 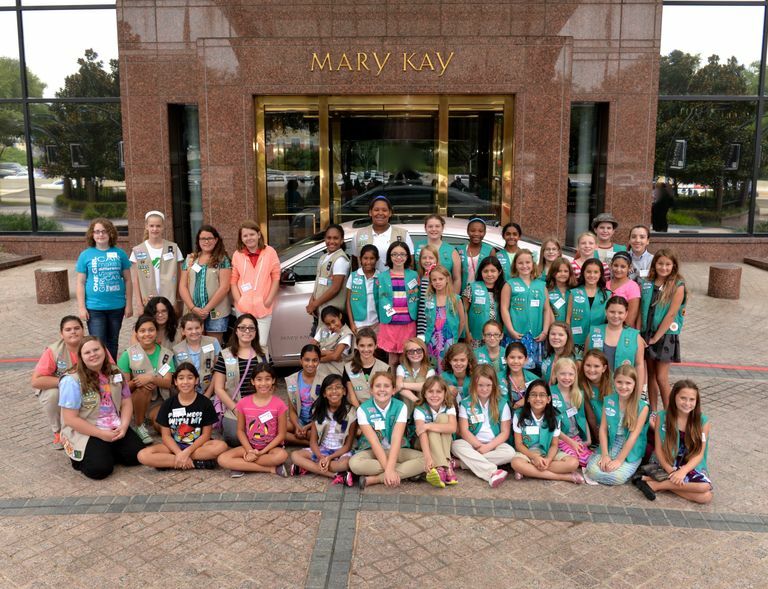 DALLAS – August 20, 2015 – Mary Kay Inc. welcomed 100 young women to the iconic beauty company’s global headquarters in support of a partnership with the Girl Scouts of Northeast Texas. 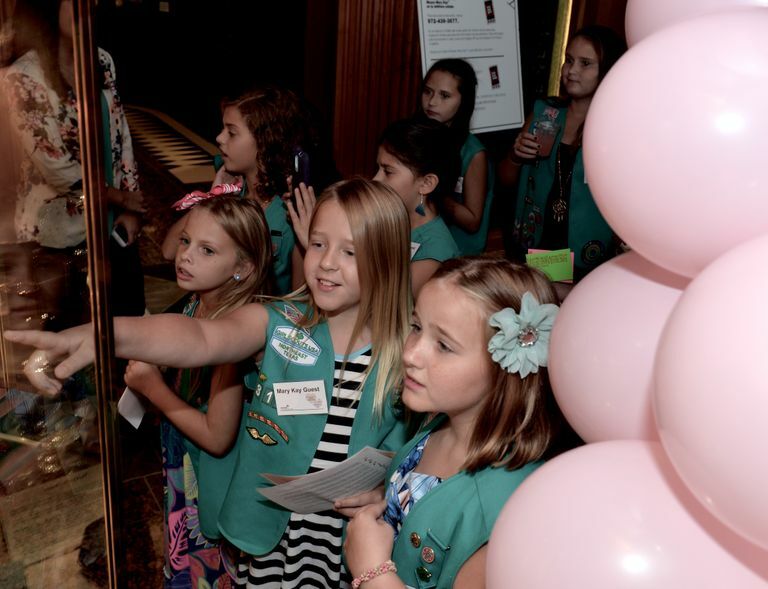 The Girl Scouts Juniors and Cadettes, ages 11-14, earned the Mary Kay Healthy Relationship Patch and pledged to promote healthy relationships and friendships. 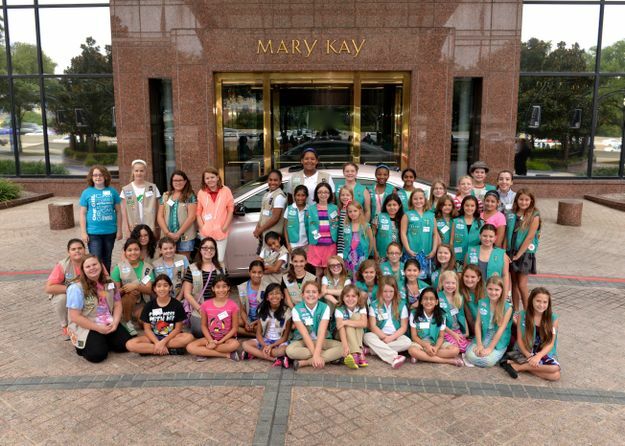 The Mary Kay Healthy Relationships patch program provides support for the Girl Scouts of Northeast Texas’s It’s Your Story – Tell It! leadership series focused on helping girls navigate healthy relationships, develop a strong sense of self and promote confidence in others. The patch aligns with Mary Kay’s Don’t Look Away program to educate girls and women about healthy relationships. 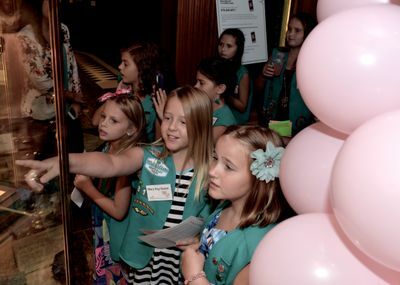 Since the partnership with the Girl Scouts began in 2013, nearly 3,000 Mary Kay Health Relationship patches have been earned by Girl Scouts in Northeast Texas.